F i Melanie Louise FARR-2836. M ii Daniel Lorin FARR-2822. M iii Mark Benson FARR-2841. Ben Watkins FARR Sr. DNA Participant #14704 [Parents] [scrapbook]-3 was born 1, 2 on 22 Jan 1919 in Burley, Cassia, Idaho, United States. He died 3, 4 on 4 Jul 2009 in Washington Terrace, Weber, Utah, United States. He was buried on 10 Jul 2009 in Ogden City Cemetery, Ogden, Weber, Utah, United States. 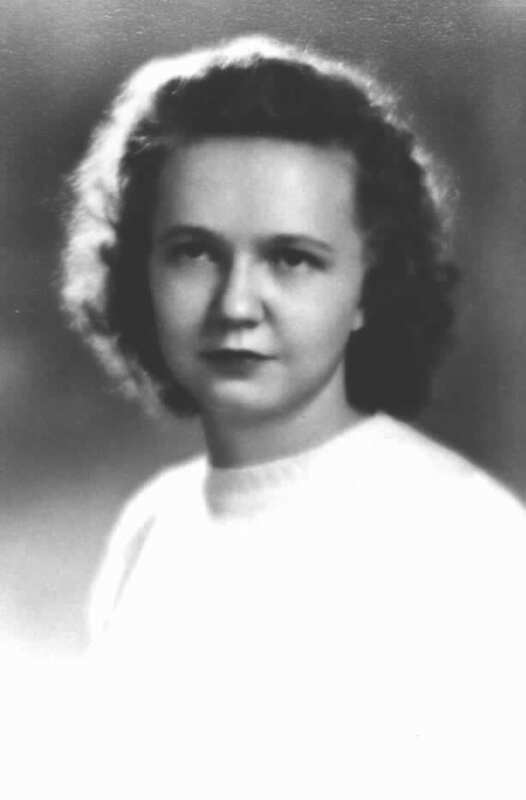 Ben married 5, 6 (MRIN:2) Ethel Fern ORAM-4 on 19 Dec 1945 in Mesa, Maricopa, Arizona, United States. Ben was counted in a census 7 in 1930 in Ogden, Weber, Utah, United States. He graduated 8 on 28 May 1937 in Ogden High School, Ogden, Utah, United States. He served a mission in FROM 11 NOV 1987 TO APR 1988 in Tempe, Maricopa, Arizona, United States. Named by his father after his Southern States Mission President Ben E. Rich. Was a carman for the Southern Pacific Railroad. Farwest Stake Mission president for 16 years. Life history of Ben Watkins Farr Sr.
Born 22nd of January 1919 in Burly Idaho in the home we were living in. This home belonged to Utah Idaho Sugar factory located about three blocks from the snake river. My father developed the system of stacking sacks of sugar in the warehouses so they wouldn't pop out and break under the pressure of stacking. It was required that they carry a pistol, a black snake whip and other weapons to defend the factory against Indian raiders at that time. At the age of six months I developed infectious cysts on the back of my neck. The doctors lanced them six times and drained a pint of puss each time. The sixth time, they said that if it did not heal, they would give up. My mother called the elders and they gave me a blessing. They healed and I haven't had any problems since. I have the scars on the back of my neck. At the age of three, we moved back to Ogden Utah. Living in the upper story of my grandmother Watkins' two story house on twenty seventh street between Grant and Lincoln. My mother developed a pneumonia two years later and passed away. I was five years old. My father took my brother Jed and I to live with my grandmother Farr on Canyon road and Jefferson where my father contracted a kidney disease and died two years later. I was seven years old. I lived with my grandmother and grandfather Farr until I was twelve. It was during the depression and they could no longer afford to keep us so they sent my brother Jed to live with my Aunt and Uncle Frank Watkins in Los Angeles California. My aunt and uncle Howard and Pearl Cook offered to take me to live with them. My brother and I felt bad because we were being separated but under the circumstances it was the best they could do for us. While living with my uncle and aunt in S.L.C. I was able to learn a great deal about farming because my uncle had 20 acres in Roy Utah and his mother Cook had 400 acres of dry land up on the sand ridge where Hill Air force Base is located now and 20 acres of irrigated land in Layton Utah. Between the years of 12 and 21 were years of learning how to work. Many times I weeded the fields of sugar beets, onions for as little as 10 cents an hour. During that period of time we were glad to get whatever work we could get. I bid on painting a house for a neighbor knowing that if I didn't bid low enough I wouldn't get the job. I needed the money, I averaged 5 cents an hour on that job. Of course you could ride the trolley car for 5 cents. The cinema was 10 cents, Ice cream cones 5 cents for two scoops at a time. At the age of 21 I had a job running a fruit road stand in Ogden. I was getting $9 a week. This was just before going into the service. In the year 1940-41 jobs were beginning to open up. This country was beginning to get a little nervous about the war in Europe and started to build up its defences. As a result jobs were beginning to open up due to the construction of supply depots and air and navy bases. But before I had a chance to apply and secure one of these jobs I received my greeting from Uncle Sam. He needed me to build up his defense force. I was drafted into the army for a year. I had five days to report to the draft board in Eagle Rock California. I was a little short on money at the time so I borrowed $25 from my aunt Pearl in S.L.C. for the bus fare. On the arrival at the draft board they made me leader of the group of 21 inductees to be sent down town L.A. We boarded the bus and we went to the induction station where we received our physical and were sworn in as members of the armed forces. We boarded the bus again and were sent to the Fort MacArthur for processing. There we received our shots, our clothing, and our I.Q. test and from there they would assess us to our various branches of the service. I guess I was the worst dressed soldier of the army. They gave me a WWI army blouse with a choker collar and a hole in the back. Looked like a bullet hole, WWI britches that laced in the legs, couldn't button them around the waist. They fit so tight in the legs that they about cut the circulation off. The only thing that fit was my overcoat and shoes. Well, they rounded us up before we left and asked if we had any complaints. I stepped forward and complained about my outfit. The sargeant said don't worry they will outfit you better where you are going. I was sent to camp Collin, a coastal artillery replacement training center. I was assigned to the station hospital. I spent two years at camp Collin as a messenger file clerk, a motion picture operator, undercover agent for a while for the FBI. Finally the Government got around to replacing 1As for 1Bs in station camp - - - - - - - - so that meant in the field for many of us. I was assigned to the third engineer special brigade at Ford Ord California. This was a combat amphibian engineer outfit. They specialized in beach landings, unloading of ships, establishing supply dumps, building of ports, roads, airports, whatever and also beach defense. And on occasion to plug in the gaps existing in the front lines. I had many great experiences serving in the south pacific for two years. New Guinea, the Philippines, Hawaii, and Japan. I was released from the service on Nov. 29 1945 whereupon I went to Phoenix Arizona where my fiancé was living. Ethel Fern Oram. We were married December 19, 1945 in the Mesa Arizona temple for time and all eternity. We remained in Arizona to get Fern's parents started on a farm in Laveen Arizona consisting of 45 acres. While Fern was carrying our first daughter, Karen we decided to return to Utah. I started back to college but I didn't get my first government until six months later so I hired out as an apprentice meat cutter at Safeways on 16th and Washington blvd. In Ogden. I went to school at night at Weber and meat cutting classes and worked all day. I received my meat cutting journeyman papers four years later. It seems Safeway wanted to lay me off every time they had a slump in business. I had a family to support so I managed to get a job at Southern Pacific Railroad as a laborer to start out with. My wage was 63 cents an hour. A few months later they set me up as a carman helper and I received 73 cents an hour. After a while they set me up as an upgraded carman. My wage was 83 cents an hour. It took me eight years to get my journeyman, carman papers. During the years 1947-1978 I worked for the railroad in all kinds of weather. During this period of time I served in many positions in the church. For 12 years I served on the Harrisville planning commission, the last year serving as the chairmen of the commission. I organized the Faust Valley gun club serving as chairman of the board for eight years. We leased the land from farmers in box elder county. We ended up with 30,000 acres to hunt pheasants, ducks, chuckers, bobcats and deer up by powder mountain. I had many a good time hunting with Benny and Timmy and friends. I retired December 28, 1978 from the railroad. I must say I have been able to keep busy in these retirement years. I took an early retirement at 60. I am not sorry, for I was able to have a couple of years with Fern before she passed away. I served as extraction missionary for 6 years and then 2 years and 4 months as an Ogden temple officiator. I don't tell this too often, but, you know, the people on the other side are watching over us. I would like to tell you of an experience that I had a few years ago. It was after my first wife passed away. One night I was over doing Spanish extraction work in Ogden, Utah. It was about midnight when I got through. I went over there and didn't have anything else to do and I thought, well, I don't want to go to bed, so I went over there and did extraction work for several hours. I left it just before midnight. I left, I locked up the building, went home and got into bed. While I was laying there, I was laying on my back, looking up and all of a sudden I heard a voice and said “Ben, get up there's something wrong.” And it sounded like my first wife's voice to me. I laid there. I didn't get up. Pretty soon she says, “Ben, get up! There's something wrong!” This time I got up. I looked around the house, went back and forth, went down in the basement, went all over. I went back and forth and I couldn't find anything. I went into the closet and lifted the door in the attic...and I went around, went through the hallway, bathroom, living room, back in the bedroom where my first wife used to sleep before she got to the point where she needed to sleep in that bedroom by herself. And so I stood in the doorway and I just stood there and looked. And all of a sudden, BOOM! Fire burst out in the ceiling in the corner of the room on the wall. So I run and got a glass a water and threw it on there. I dialed 911 and the North Ogden Fire Department came out and kicked me out of the house. I didn't get back until around about 4 o'clock that morning. I thought maybe, perhaps, I'd tell you that to let you know that those who love us on the other side are able to watch out for us. There's times when they're given that opportunity to do that for us. And so I'll never forget it. I'll tell you again an experience that I had, that Tim mentioned once before in one of his talks in the temple. My grandfather and I were great buddies. I loved my grandfather. He played marbles with me. He did everything. As a matter of fact, I had to live with him because my mother and father passed away-my mother when I was five, my father when I was seven. I lived with my Grandmother and Grandpa Farr. Anyway, my grandfather appeared to me one evening, one night, in a dream and it was so vivid. And it was just like he was standing right there in front of me. All I could see was his face and part of his chest. He stood there and he said, “Ben, do your genealogy. I almost lost my salvation.” And that's pretty scary, knowing that you're going to lose your salvation. I wonder how many of you understand what your salvation is. Does it mean you're not going to be in the Celestial Kingdom? No, you'll be in the Celestial Kingdom-many of us, all of us, perhaps will be in the Celestial Kingdom. What does it really mean to lose your salvation? Anybody know? Ever thought about it? Well, to lose your salvation is that when you become immortal you won't be able to have spirit children. And that is a great blessing to be able to continue on and have spirit children as our Father in Heaven has had spirit children. So I'm sure that many of us, those who obey the commandments that are given to us and do what we should do in this life will be able to be in the Celestial Kingdom. So our genealogy work is important to us, to each and every one of us. I have a true testimony of the Gospel. I am grateful for those who watched over me and helped me through my life as a child, who were concerned about me. I am grateful for them. I know this church is true. I have a true testimony of the Gospel. I humbly bear this testimony to you in the name of Jesus Christ. Amen. 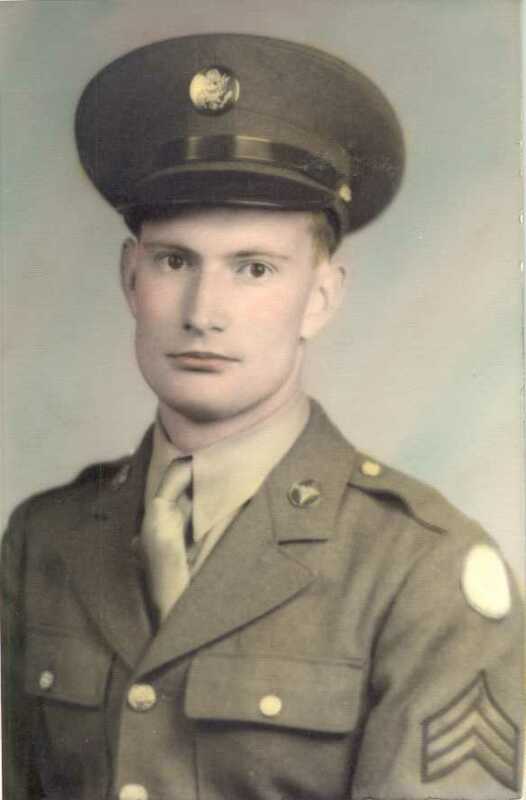 Ben Watkins Farr, Sr., born January 22, 1919 in Burley, Idaho to Marcus Ballantyne and Mary Elizabeth Watkins Farr, the youngest of two sons, and winner of first prize at the Cassia County Fair for the cutest baby, quietly passed away Saturday, July 4, 2009, of natural causes. His family later moved to Ogden where his parents soon passed away. He was cared for by his grandfather and grandmother Farr and other relatives who taught him the value of hard work, education, and on the importance of being faithful to his church. Ben graduated in 1937 from Ogden High School where he met the love of his life, Ethel Fern Oram. They were soon engaged, but before they could tie the knot, Ben was called to serve his country with the U.S. Army during World War II in the Asiatic Pacific Theatre 533 Boat and Shore Regiment 3rd Engineer Special Brigade for nearly five years. He was awarded four Bronze Stars and the Bronze Arrowhead. After the war he married his sweetheart on December 19, 1945 in the Mesa, Arizona LDS Temple. They lived in Tempe for a short while to help his in-laws start a farm. Their love for Ogden brought them back where they settled in Harrisville and reared four children. Ben lived there for 49 years, his home to many wonderful neighbors and caring friends. He served for 15 years on the Harrisville Planning Commission and Adjustment Board. He was employed by the Southern Pacific Railroad for 30 years. Always a missionary, he proudly served several callings including the Spanish Regional Mission and Tempe, Arizona mission. He willingly served many callings in scouting, name extraction, instructor, high priest group leader and temple worker. He loved raising cattle and exotic birds, as well as farming and gardening. With the help of some friends The Faust Valley Hunting Club was started. He was director of it for 10 years. He is survived by his children, Karen (Dee) Kauer, St. Anthony, ID; Jacqulin (Don) Denning, Layton, UT; Ben Jr. (Claudia) Farr, Slaterville, UT; Timothy (Lisa) Farr, St. George; 17 grandchildren and 22 great-grandchildren. Ben was preceded in death by his faithful wife; an infant daughter Betty Jan; his parents and his wifes parents; his brother, Jedd W. Farr; a grandson, Aaron Archibald and son-in-law, Lennis Archibald. We love our father and well miss him dearly, but we know he is with our Father in Heaven and cherished loved ones on the other side. Most of all, Dad will be remembered as a peacemaker, which he exemplified during his life. Blessed are the peacemakers; for they shall be called the children of God. Matthew 5:9. Funeral services will be held Friday at 11 a.m. at Lindquists Ogden Mortuary, 3408 Washington Blvd. Friends may call at the mortuary on Thursday from 6 to 8 p.m. and Friday 9:45 to 10:45 a.m.
CENSUS: Age 11. Listed as grandson of Marcus Farr and Josephine. Ethel Fern ORAM [Parents] [scrapbook]-4 was born 1, 2, 3, 4 on 30 Apr 1919 in Ogden, Weber, Utah, United States. She died 5, 6, 7 on 9 Mar 1981 in Ogden, Weber, Utah, United States. She was buried 8 on 13 Mar 1981 in Ogden City Cemetery, Ogden, Weber, Utah, United States. Ethel married 9, 10 (MRIN:2) Ben Watkins FARR Sr. DNA Participant #14704-3 on 19 Dec 1945 in Mesa, Maricopa, Arizona, United States. Ethel was counted in a census 11 in 1920 in Ogden, Weber, Utah, United States. She was counted in a census 12 in 1930 in Ogden, Weber, Utah, United States. She graduated 13 on 28 May 1937 in Ogden High School, Ogden, Utah, United States. I, Fern Oram Farr, born the 30th of April 1919, a daughter of Ruby Harris and Parley Oram. Before I begin my life story I want to write what I can remember about my mother. Ruby Harris was a daughter of Emer Martin Harris and Hannah Montgomery Wood Poulter Her mother, Hannah, was a twin and was born on board ship on the Gulf of Mexico while her parents were enroute to the U.S. from England. The other twin was sickly and he passed away. My grandmother Hannah died after childbirth and a while later the baby died also, leaving five small children who grandfather brought to Harrisville for his mother to raise. I can remember my mother telling about how the Indians used to come to her grandmothers house for food. Great Grandfather, Martin Henderson Harris, used to raise mulberry bushes so he could feed the leaves to his silk worms and his wife made the first silk dress in Weber County. They farmed for a living and all of the children had to help. As time went by my mothers sister, Ethel, went to live with her uncle, Dennison Harris. Ethel passed away at an early age with some kind of kidney disease. My mothers sister, Della passed away when she was grown. She never married. Mothers brother, Roy, passed away when my daughter Jacqulin was 2 yrs. old. Mothers father, Emer, was a farmer and had his farm in Fielding, Utah, also one in Brigham City. Grandfather Harris was a good man and I liked to have him come and stay with us. Dads father was Richard Oram and he married Phoebe Saunders. Grandfather Oram worked in the coal mines in England. His father died and left his mother with several children. Grandfather worked and saved his money and brought his mother and his brothers and sisters and himself to the U.S. It was after he came to Ogden that he married Phoebe Saunders. Grandmother had eleven children. Grandfather worked for the R .R. and when it became necessary for him to read the orders he quit because he couldn't read or write. The R.R. offered to send him to school but he wouldn't go. He moved to Callinston, Utah with his family and started to farm but he wasn't too successful. His wife Phoebe was born in a covered wagon while her folks were coming across the plains. Her mother died giving birth. The women kept my grandmother alive by boiling squash and giving her the water off from the squash until they came to a fort where there was milk. I can remember when my grandfather and grandmother Oram had their 50th wedding anniversary and what a nice time we had. Dad worked for the R.R. and when I was about four yrs. old the men at the R.R. went on strike and Dad never went back there to work. He later went to work for the Globe A-1 flour mill and during world war II he worked at the Navy Base and while the war was still being fought we moved to Phoenix, Arizona where he and mother stayed for 8 yrs. I stayed for 3 yrs. in Phoenix and when the war was over I married and came back to Ogden to live. When I was a small child we lived on upper 16th St. in Ogden, up above Lorin Farr Park. I can remember when Mother wanted ice she would put a sign in the window and when the ice man came around he would stop and bring us ice in a horse drawn wagon. Several times a week the ice cream man used to come by the house in a horse drawn ice cream wagon and all the kids in the neighborhood used to go out in the street after an ice cream cone. Street cars used to run up and down the street in front of the house and we used to go to town for 5¢. Not many people had cars in those days. When I was 5 yrs. old we moved over on 13th St. and Jeff. Ave. where we lived until I was about 20 yrs. old. Then we moved on Jackson Ave. and 27th St. When I was about 11 yrs. old Mother became ill and in a couple of yrs. was so badly crippled with rheumatoid arthritis that she was in a wheel chair until the time of her death. I did most of my growing up on Jeff. Ave. We really had nice neighbors, Aruid and Anna Nylander, Jack and Maude Wilson, The Rabbs, Albert and Ada Miller. Dads sister, Mary Ann Stevens, had a cherry orchard on 16th St. and every summer I used to pick cherries for her. I didn't make much money but usually enough to buy a ticket to the rodeo for the 24th of July. That was a big celebration and we looked forward to it from one yr. to the next. There wasn't any entertainment like there is now and lots of times we played games and popped corn and that was a big deal in those days. My folks had coal stoves. One in the front room and a cook stove in the kitchen. Kindling wood had to be chopped to make a fire and we had to carry coal up from the basement and that was one of the things I didn't like to do. I used to play with Ellen Wilson and she had an old red chicken that we would dress in doll clothes and push around in her doll buggy. We had lots of fun and good times together. In the summer we used to go swimming in the irrigation ditch almost every day. We used to get our mothers wash tubs and would carry them a block or so up the ditch then we could get in them and float down. Mother and I spent many pleasant days together and through her sickness I learned how to work and many other things. She taught me about the gospel and we used to have many discussions about it. Up until she got sick she used to go to church all of the time. She taught Religion classes and Primary. She had a good attitude and was quite a pleasant person to be around. When I was about 11 yrs. old the depression started and what hard times we had. We hardly had anything to eat or wear and couldn't pay some of our debts. I hope I never have to go through another depression and I hope none of my children ever have to experience anything like it. It was awful. The depression lasted for about 8 yrs. I can remember going to school with holes in the bottom of my shoes and I would put some newspaper in and before the end of the day the paper would be worn through. My grandmother Oram used to visit us and what a nice person she was. I really loved her. When I graduated from High School I couldn't go to college because Dad didn't have the money to send me and there were no available jobs. A year or two later the war started and I went to work at Hill Field and financially our situation improved and things were better. The folks moved to Phoenix, Arizona and I went with them. I worked for a couple of C.P.A. 's until the war was over and Ben came home and we were married in the Mesa Temple. We stayed in Arizona for about 5 mos. then we moved to Ogden where we have stayed and Ben went to work for the Railroad. Karen was born 30 Sept. 1946 and Jacqui 12 July 1945, Ben Jr. 27 Aug. 1951, Tim 21 Aug. 1955 and Jan 5 Nov. 1956. We had a full life and a busy one. Our children had many talents and they achieved many things and we are proud of them and the things they accomplished. They have been good, gone to church, gone on missions and all have married in the Temple for which I am grateful to my Father in Heaven for the privilege we have had of raising them and watching them grow and develop in the gospel. There were times when I wondered about some of them but I had faith that things would turn out all right and they did. My mother passed away about 11 or 12 yrs. ago and I have missed her. Dad passed away about 5 or 6 yrs. ago. I felt sorry for Dad. He feared death but I feel that he went peacefully as he passed away in his sleep. While Dad was in the Rest Home I could tell when he was sick or something was wrong with him by the feeling I had and I would go to see and I was right. He would either be sick or he had fallen and hurt himself. He would cling to me and cry and beg me not to leave him because he knew he was going to die. I feel the Lord was good to him when he passed away in his sleep. Mothers half sisters, Ida, Lavern, Pearl and her brother Melvin have been a fun bunch of Aunts & Uncles and they have been so nice to me for which I have been grateful. I can remember when I was small and they used to come to our house before they were married almost every weekend to go to the dances at the White City ball room. My cousin Darlene Seamons, Ida's daughter, was lots of fun and we used to be together quite a bit. We had many fun times together. Occasionally I used to go down to S.L. and spend a few days with her and she used to come to Ogden and stay with us. I couldn't go too many places unless Dad was home so he could stay with mother. Two years ago Ben had a Hiatus hernia repaired and has been much better. My health hasn't been too good but I did get the children raised and that is the things I have always been concerned about. this much I have written in June of 1978. Through my illnesses and operations I have always been concerned something would happen to me and I wouldn't have my children raised. No one else has the love and concern or even really cares as much about someone else's children as their own parents. On 8 Aug. 1978 the last operation I have had to date it would have been so easy for me to go. Children, I want each and every one of you to know that I do have a testimony of the gospel and that I have loved each of you. Benny I know that you think I was hard on you but it was only because I loved you and I was concerned about you and I did care about how you turned I did what I thought was the best for each one of you and I did the best I could with what I had to do with. I am proud of you and I loved you all. It was my mother and my love for her that kept me on the beaten path and after I married your Dad it was the love I had for him and the things he taught me about the gospel that have made me see things in a different light. Most of what I knew about the church I learned from him. He has been a wonderful husband and companion and I have loved and respected him. This is my life story as of 29 Aug., 1978. One more thing I want to tell you about my Mother and as I have stated before she was an invalid and at the time I am writing about, she was quite ill and had large blisters on her legs and feet. I used to go over there often after work and on this particular day she wasn't sitting in the place where she usually was and I asked Dad where she was and he said in bed. I went in the bedroom to see her and she looked bad and seemed to be quite weak. She was glad to see me and I asked what her problem was she said her father and mother came to see her the night before. She said her father stood at the foot of her bed but her mother was at the head. She could hear her mother but she couldn't get her head turned so she could see her. Her father kept reaching for her but her arms wouldn't go out straight so she couldn't reach his hand. There was a light around grandpa. Mother said that the longer he stood there the weaker she became and finally she called out for Dad. When she did this grandpa disappeared. Before a year was up Mother passed away. CENSUS: Age 8 months. Daughter of Parley and Ruby Oram. F i Karen Elizabeth FARR-5. F ii Jacqulin Kay FARR-6. M iii Ben Watkins FARR Jr.-7. M iv Timothy Mark FARR-1. Betty Jan FARR [scrapbook]-8 was born 1 on 5 Nov 1956 in Ogden, Weber, Utah, United States. She died 2 on 22 Nov 1956 in Ogden, Weber, Utah, United States. She was buried in Ogden City Cemetery, Ogden, Weber, Utah, United States. Ben Watkins FARR Sr. DNA Participant #14704 [Parents] [scrapbook]-3 was born 1, 2 on 22 Jan 1919 in Burley, Cassia, Idaho, United States. He died 3, 4 on 4 Jul 2009 in Washington Terrace, Weber, Utah, United States. He was buried on 10 Jul 2009 in Ogden City Cemetery, Ogden, Weber, Utah, United States. Ben married 5 (MRIN:3) Marrietta Clement ARMSTRONG-2616 on 3 May 1987 in Ogden, Weber, Utah, United States. Ben was counted in a census 6 in 1930 in Ogden, Weber, Utah, United States. He graduated 7 on 28 May 1937 in Ogden High School, Ogden, Utah, United States. He served a mission in FROM 11 NOV 1987 TO APR 1988 in Tempe, Maricopa, Arizona, United States. Marrietta Clement ARMSTRONG-2616 was born 1 on 23 Oct 1925 in Fairview, Sanpete, Utah, United States. She died 2 on 12 Feb 2017 in Ogden, Weber, Utah, United States. Marrietta married 3 (MRIN:3) Ben Watkins FARR Sr. DNA Participant #14704-3 on 3 May 1987 in Ogden, Weber, Utah, United States. Marcus Ballantyne FARR [Parents] [scrapbook]-9 was born 1, 2, 3 on 11 Apr 1885 in Marriott, Weber, Utah, United States. He died 4, 5, 6 on 28 Jan 1927 in Provo, Utah, Utah, United States from of general paresis and lues. He was buried 7 on 30 Jan 1927 in Ogden, Weber, Utah, United States. Marcus married 8, 9 (MRIN:4) Mary Elizabeth WATKINS-10 on 17 Apr 1913 in Salt Lake City, Salt Lake, Utah, United States. Marcus was counted in a census 10 in 1900 in Ogden, Weber, Utah, United States. Was ordained a Seventy on Dec. 13th 1908 by Jonathan Golden Kimball one of the first seven presidents of the seventy. Filled a mission to the southern states. Was one who assisted in building the first Mormon church in Atlanta, Georgia. Pioneers and Prominent Men of Utah, p.867. Worked as a foreman for the Amalgamated Sugar Company in Burley Idaho. Developed the way to stack sugar in the warehouses so that the bags wouldn't break open. The Indians would come in and steal the sugar so he carried a pearl handled pistol and a buck snake whip to protect the warehouse. CENSUS: Age 15. Son of Marcus Farr. 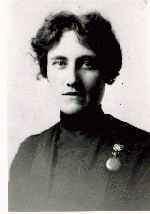 Mary Elizabeth WATKINS [Parents] [scrapbook]-10 was born 1, 2 on 11 Jun 1883 in Ogden, Weber, Utah, United States. She died 3, 4 on 27 Dec 1924 in Ogden, Weber, Utah, United States from of Pneumonia. She was buried 5 on 30 Dec 1924 in Ogden, Weber, Utah, United States. Mary married 6, 7 (MRIN:4) Marcus Ballantyne FARR-9 on 17 Apr 1913 in Salt Lake City, Salt Lake, Utah, United States. From records in the possession of Tim Farr. A blessing given by Hyrum G. Smith, Patriarch, upon the head of Mary Elizabeth Watkins Farr, daughter of Joseph Hyrum Watkins and Mary Ann Doxey Watkins, born June 11th, 1883, at Ogden, Utah. Sister Elizabeth Watkins Farr; according to thy desire I place my hands upon thy head and as the spirit of the Lord shall direct me give unto thee thy Patriarchal blessing for thy comfort and benefit throughout thy life because of thy faithfulness. And I say unto thee be of good cheer; for the Lord has heard thy prayers and knoweth thy desires, and he has spared thy life to live and enjoy a continuation of his favors to finish thy mission and rejoice in further privileges as a teacher and an exemplar and a defender of virtue and honor and the principles of the Everlasting Gospel. For thou shalt rejoice in the association of thy companions in the work of the Lord. Thou shalt rejoice in thy home, for thy children will grow up in obedience unto thy teachings and be found in the service of the Lord in their youth. Health and strength will also be given unto thee through observing the laws of nature which will make thy mission full of comfort and consolation. For thou shalt rejoice in the preserving­, protecting and providing care of the Lord through His blessings upon thee because of thy faithfulness in observing the laws of nature and the words of wisdom as they have been taught thee even from thy youth. Thou art of the lineage of Ephraim who was the chosen son of Joseph who was sold into Egypt, and thou shalt receive a worthy inheritance among the Saints, both in this life and in the life to come. Thou art a Peace-maker and through the cultivation and use of this talent thou need never lack for friends nor suffer want for the necessities of life. Therefore, be not discouraged but continue to be humble and prayerful and thou shalt be given power to overcome despondency and gloom and doubt and every other barrier that may interfere with thy blessings whether they be temporal or spiritual. Therefore be comforted, rejoice in they privileges and blessings, for thy faith shall be secure unto thee, the mercies and favors of the Lord even unto the end of thy mission upon the earth. I seal this blessing upon thy head through thy faithfulness. And I seal thee up even unto eternal life to come forth in the resurrection of the just crowned with thy blessings among the redeemed and glorified of Israel, with thy children and loved ones, by virtue of the Holy Priesthood and in the name of Jesus Christ, Amen. From an Approved record signed. DEATH: Died of pleura-pneumonia. Was sick for 10 days. M i Jedd Watkins FARR-11 was born on 15 Apr 1914. He died on 9 Nov 2001. M ii Ben Watkins FARR Sr. DNA Participant #14704-3 was born on 22 Jan 1919. He died on 4 Jul 2009. 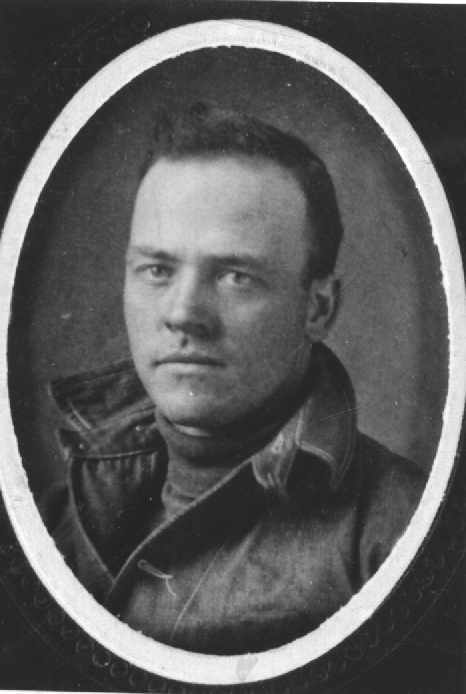 Parley Pratt ORAM [Parents] [scrapbook]-12 was born 1, 2 on 10 Feb 1891 in Ogden, Weber, Utah, United States. He was christened on 2 Apr 1891. He died 3 on 27 Nov 1973 in Ogden, Weber, Utah, United States. Parley married 4 (MRIN:5) Ruby HARRIS-13 on 29 Sep 1915 in Logan, Cache, Utah, United States. Parley was counted in a census 5 in 1900 in Collinston, Box Elder, Utah, United States. He was counted in a census 6 in 1920 in Ogden, Weber, Utah, United States. Baptized by Jos. A Erickson and Confirmed by R.A. Johnson at Beaver Dam, Bear River Stake. Found in autograph book of Hannah Poulter. For a history, see notes on Ethel Fern Oram. 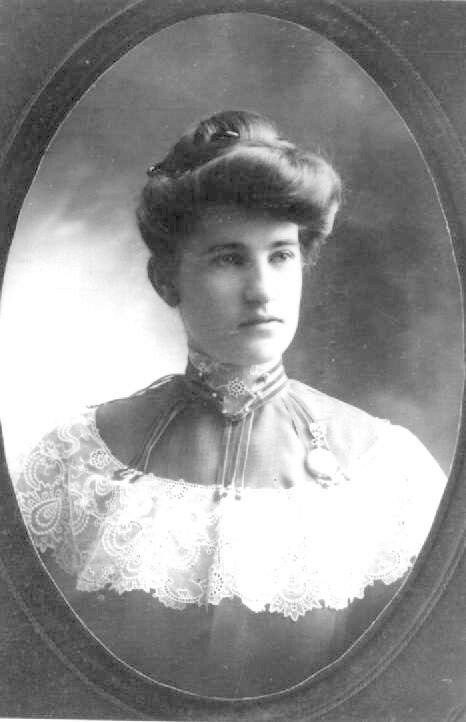 Ruby HARRIS [Parents] [scrapbook]-13 was born 1 on 1 Apr 1886 in Ogden, Weber, Utah, United States. She was christened 2 in Apr 1893. She died 3 on 10 Mar 1966 in Roy, Weber, Utah, United States. Ruby married 4 (MRIN:5) Parley Pratt ORAM-12 on 29 Sep 1915 in Logan, Cache, Utah, United States. Ruby was counted in a census 5 in 1920 in Ogden, Weber, Utah, United States. Baptism records were lost and was rebaptized at Deweyville June 17th, 1917 By John P. Barnard and confirmed by Bro. J. Ernest Dewey. F i Ethel Fern ORAM-4 was born on 30 Apr 1919. She died on 9 Mar 1981. Lennis N ARCHIBALD-1627 was born on 4 Apr 1943. He died on 28 Oct 1992 in North Bend, King, Washington, United States. Lennis married (MRIN:6) Karen Elizabeth FARR-5 on 26 Aug 1966 in Salt Lake City, Salt Lake, Utah, United States. M i Niel Farr ARCHIBALD-9923. M ii Andrew Farr ARCHIBALD-9924. Ben Watkins FARR Jr. [Parents]-7. F i Angela Marie FARR-9925. M ii Jeddediah Abram "Jed" FARR-9926. M iii Shane Edward FARR-9927. M iv Jacob Lorin FARR-9928. Marcus FARR [Parents] [scrapbook]-14 was born 1, 2 on 2 Apr 1856 in Ogden, Weber, Utah, United States. He died 3, 4, 5 on 7 Apr 1934 in Ogden, Weber, Utah, United States from of recurrent cerebral embolism and carcinoma of the stomach. He was buried 6 on 10 Apr 1934 in Ogden, Weber, Utah, United States. Marcus married 7 (MRIN:10) Caroline Josephine BALLANTYNE-15 on 2 Feb 1882 in Salt Lake City, Salt Lake, Utah, United States. Marcus was counted in a census 8 in 1860 in Ogden, Weber, Utah, United States. He was counted in a census 9 in 1870 in Ogden, Weber, Utah, United States. He was counted in a census 10 in 1880 in Ogden, Weber, Utah, United States. He was counted in a census 11 in 1920 in Ogden, Weber, Utah, United States. He was counted in a census 12 in 1930 in Ogden, Weber, Utah, United States. He was counted in a census. FARR, MARCUS (son of Lorin Farr and Sarah Giles). Born April 2, 1856, Ogden. Married Caroline Josephine Ballantyne Feb. 2, 1882, Salt Lake City (daughter of Richard Ballantyne, born Aug. 26, 1817, Whiterigg, Scotland, and Caroline Albertine Sanderson, born Sept. 19, 1837, Rogen, Norway; married 1856). She was born Jan. 30, 1861, Salt Lake City. Their children: Josephine b. Feb. 17, 1883, m. William H. Olson July 15, 1903; Marcus Ballantyne b. April 11, 1885; Lionel B. b. Nov. 28, 1888; Beatrice Albertine b. April 24, 1892; Lorin B. b. July 1, 1896. Family home Ogden. First counselor to 9th quorum elders July 13, 1891 to Dec. 13, 1897; missionary to Eastern states 1897; first assistant superintendent third ward Sunday school; senior member Ogden stake high council. Brother Marcus Farr, we ordain you a Seventy in the Church of Jesus Christ of Latter-day Saints, and bestow upon you, in this ordination, all the keys of authority and all the powers that belong to this high calling in the Melchisedek Priesthood of God; that you may hold these powers and exercise them in righteousness and bring to pass the salvation of men and be in very deed a witness for the Lord Jesus Christ in all the earth, We bless you, dear brother, that the spirit of this calling may rest down upon you; that your tongue may be loosed, and that you may exercise the powers of this Priesthood as becometh a servant of the Master. And inasmuch as you have been called to the Eastern States by the Prophet of God, to go and preach the Gospel to the inhabitants of the earth in that district of country, we bless you and set you apart to fulfill this mission, and we give unto you, by the authority of the holy Priesthood, strength and power to perform that labor; and we say unto you, dear brother, that you shall be made equal to the task that is imposed upon you by this call to the ministry; and we bless you that you may re­ceive strength in your body, and we rebuke the affliction of rheumatism, that which you are suffering from, and we bid it depart from you, that you may be restored to perfect health, that you may not be hindered in your desires to serve the Lord and fulfill this mission, by reason of any affliction of ill health, or the affliction of rheumatism; and we bless you that you may be proof against the epidemics and the diseases abroad in the land, and that you may not be disturbed by the destroyer of men's souls, but that you may have power over all unclean spirits and be able to rebuke them, We bless you that you may find the honest in heart and those who are seeking to know the Lord, and that they may receive your words with gladness of heart, We say unto you, the Lord will prepare your way and angels shall go before you, and every desire of your heart that is righteous before the Lord and that is needful for your success upon this mission, shall be given unto you, and the Lord will multiply His blessings until your heart shall be filled with gladness. Therefore, let your heart rejoice and let a song of joy be in your heart that the Lord has called you to be a preacher of His name. Last evening a large number of relatives and friends met at the residence of the bride's parents to celebrate the marriage of Mr Mark Farr, son of Hon. Lorin Farr, to Miss Josephine Ballantyne, daughter of Richard Ballantyne, Esq., which event took place in Salt Lake City on Thursday, Feb. 2, 1882, the ceremony being performed by Counselor Daniel H Wells. Over 50 persons were present on the oc­casion. The bridal presents were valuable and numerous. The time was spent in social con­verse, and in songs, instrumental music, readings, &c., by different members of the company. Shortly after 11 o'clock the guests were treated to supper, 'where everything desirable, both substantial and del­icate, was partaken of seasoned by smiles, pleasantries, and jokes. After supper, Hon. Lorin Farr was called upon for a speech. He responded with an appropriate address on the duties of marriage and its attendant blessings. wishes for a peaceful and prosperous journey over the rugged pathway of life. The Herald joins with them in this wish, and trusts that as they are good young pcople, nothing but good will befall them. OGDEN.--Marcus Farr, 78, one of the oldest and best known residents in Ogden, and son of Lorin Farr, first mayor of Ogden, died Saturday night at the family home, 561 Canyon road. He had been ill since Nov. 4, 1933, when he suffered a stroke. He was born in Ogden April 2, 1856, a son of Lorin and Sara Giles Farr. He was an active member of the Church. He has served on a mission in the eastern states, had been superintendent of the Sunday school, and president of the Third ward M. I. A., and was formerly a member of Ogden stake high council. He had also been active in genealogical work. CENSUS: Age 24 living with his mother, Sarah. Held in the Seventh Ward Chapel April 10, 1934, 3 o'clock p.m.
Our Heavenly Father, we a few of Thy servants and hand-maidens, have gathered upon this occasion for the purpose of paying tribute to the memory of our Brother and Thy servant whose life's career has now closed so far as this mortal life is concerned. We pray that while we are thus assembled that Thy spirit will rest down upon us in rich. abundance so that our faith in Thee and our faith in the future may be strengthened. We pray that Thou will bless the sisters, the mother, the sons and daughters of Brother Farr, that Thy comforting spirit and power will be and abide with them. Bless those who are called upon to address us this afternoon that they may strengthen us and create within us a more determined effort to live Thy Gospel, so that when the time comes when we are called back home we may enter into our place in Thy Kingdom. Grant that no accident may befall us during the remainder of these services, We ask these favors and blessings in the name of Jesus Christ, Amen. To mingle with hosts divine. Did o'er his pure lips defile. His family his comfort, pride. Preferred more his own fireside. Of a pure untarnished name. Though our plaudits he has won. "My great work has been well done". And robbed death of its sting. And has steered life's bark aright. He has earned a just reward. Will bask in God's celestial light. With the form that lies inside. One of the noble sons of God.. These are very sad and solemn services that we are attending this afternoon. We are gathered here as relations and friends to pay a tribute of love and respect to the memory of one of God's noblemen. One of his servants who was born into the world of goodly parents in this dispensation; who was taught by those parents faith in God, in his Son Jesus Christ, and in the Restored Gospel. In his youth he was taught that he should pray daily to his Father in heaven. He was taught those principles which make for righteousness so that he grew to young manhood with a desire to take unto himself a companion, a daughter of God to fulfill the first great commandment that was given to man and to the world. So he selected sister Caroline Josephine Farr, one of the sweetest girls and God fearing that was to be found in our city, and since then they have been one flesh and will be one throughout eternity. They have been blessed of the Lord with those enjoyments that go to make up a blessed Kingdom in eternity in their sons and daughters. Their whole life has been most beautiful and sweet and wholesome. There has been in their home love in its supreme enjoyment. A love that has bound this family together in ties that death cannot break. They will continue and associate through all the eternities that await the children of men. It was my good fortune as a young boy to make the acquaintance of Marcus Farr and his family, to have been for many years very closely associated with them in their joys and sorrows and in their successes and disappointments. We have shared during these years a beautiful friendship that I most dearly appreciate. Then when years of experience and life's duties came upon us it was my good fortune to be called into the Ogden Stake, when it was organized July 5, 1908, with Brother Marcus Farr to become a member of the High Council of that Stake. Brother Farr had labored many years before that in High Council work in the Weber Stake, in the Sunday School, and the Mutual work in the Third Ward and many other capacities, but on that day when we were called to become associates together I felt that an honor had come to me to be with such men as Thomas B. Evans, our Stake President, and Marcus Farr, who became the head and president of our High Council, and the friendship and association that we had before were intensified and we grew not to be just friends, but to be most intimate in our lives. Many many times after we had met in our meetings together, Brother Marcus Farr and I walked home and talked until sometimes almost midnight of the problems of life, of our home associations, of our church responsibilities, of that which we might do as servants of God to further His work. He was a wonderful counselor and a wonderful advisor. It seems to me that one of the foremost Qualities of the life of Brother Farr was his sublime faith in God. He had a faith that I have never found superior among my fellow men. Everything that he did in life was measured by the Gospel of Jesus Christ. If a matter measured up to the Gospel as be understood it, it was all right and he was willing to go to the very ends to accomplish that purpose; but if something came up that did not measure up to the Gospel, Marcus Farr wasn't to be changed by words or argument that I or anyone else might give. Than all earth's glistening jewels are. Those name a stain has never known. And that is the tribute I want to pay this afternoon, my brothers and sisters, to my beloved friend that never a stain has been attached to his wonderful name, that his life has been lived in harmony with Jesus Christ and as we are told In the word of God, "He that endureth to the end shall be saved." Marcus Farr endured to the end with faith In God and with a testimony of the Prophet Joseph Smith and the blessedness of the Gospel of Jesus Christ restored in this dispensation. His family this afternoon, his brothers and sisters who are here in such large numbers, and the other relatives and we friends, may be thankful for the life of this good man, you may be sure that he has gone to a reward and having these words said unto him, "Well done, thou good and faithful servant, as thou hast been faithful unto few things I will make thee ruler over many." In conclusion, may I read to you another beautiful poem the words of which his children will want to apply in their lives, As I knew Marcus Farr in his life, I know the children will want to follow in his footsteps. In the ranks of right. The shield that he wore was bright. It was mine on the day he gave it. It must be, when I put it down. I Know that the sons and daughters and grandchildren of Brother Marcus Farr are going to hold that name in reverence, honoring it to the conclusion of their mortal lives. So that they may be welcomed back to God who gave them life, and by their own beloved father in. the Celestial Kingdom. God bless the memory of Marcus Farr. God bless his wife whose physical condition is such that she cannot be here, with us this afternoon. We pray that the spirit of the Living God will whisper into her soul that peace and comfort which passeth all understanding; that comfort that will help her say, "Not my will., but Thine be done." And may the relatives, friends, brethren and associates emulate his wonderful example. Let us treasure his testimony of the Gospel of Jesus Christ and make his life and his examples part of our lives so that when we pass into that Other Life we shall be worthy to stand among the righteous In the Kingdom of God. I pray these blessings upon you in the Name of Jesus Christ, our Redeemer, Amen. I desire most sincerely to have the blessings of the Lord. today in what I may say for I realize how precious and sacred this time is; and in speaking on this unusual commemoration my mind goes back to my childhood., as far back as I can remember. I am thinking of the men and women who are sitting before me today, and also of many who have gone to the other side. It doesn't seem possible that 60 years have past since I first became acquainted. with Ogden and. its people; but that is true and when I see these men who I have looked up to and appreciated when but a child., It just doesn't seem possible that so much time could have past. I see the women here who I called Aunt, and I thank the Lord that he has prolonged the life of one so dear, and I feel very grateful. We have met together as is customary when our loved ones have departed to the other side, to review our last memories of them. The friends who have gathered together to pay homage to a departed brother; the floral offerings that are so beautiful; and this beautiful day which is filled with new life is surely an inspiration to me. And today as I see these tributes of love and. respect, I think of the times like this when people were unable to render such complements, but they did it in other ways. As I sit here and close my eyes I thought of Aunt Sara. It doesn't seem possible that 60 years has passed since I used to stroll into her home. I liked to see the cows and chickens and to watch the men at the close of a days work put the horses away for the night. I used, to go up to the old, spring and drink out of it. This all seems but a beautiful dreams, those were the happy days when we didn't have much to worry about; we had food that was good and substantial, and we didn't worry about clothing as long as we were covered. We were all about alike in money matters, not many rich, and not many poor, all more or less on an equality basis. The merits of a man and his supremacy was in the ability to do good and. to bless others. I am sure this family that is here today, these boys and girls, these sons and daughter. of a wonderful man and a wonderful mother, must feel glad of their heritage. To portray truth throughout the ages, I refer to Nephi whose words are recorded in the Book of Mormon. "But there is one thing that I remember and I treasure all my life; I was born of goodly parents" Now Brother Marcus was born of goodly parents the passage of divine gifts of a Father who lives in heaven. All these boys and girls who are here today can just as truly say that the Lord blessed them in the same way. If I were to feel that this life is the only life that I am living I wouldn't feel the way I do, but it is the second part of our existence, the first part was before we came here. Today we are living an eternal life with a knowledge that this is eternal life and how happy he must be to go home and report to his Father. He has honored all those who have associated with. him. Grand Father Farr was an unusual man. Ho bad ability beyond the average man, and he performed many things. His remarkable knowledge and willingness to testify to the divinity of the mission of the Prophet Joseph Smith made him outstanding. I remember as a young man he told me of being In the Prophet's home many times, and how the Prophet measured up to those qualities given to man by our heavenly Father; and I am sure that he honored the man who the Lord raised up to give us the gospel In this last dispensation. Of course when I talk of the relations of this man I must say that the same blood flows in my veins as in their vixens, and I hope today you will not expect me to speak a sermon. I should like to feel at home and speak as a brother. It is a wonderful thing to live in this day and age, to know that the ones around us are our Father's children and that he loved them so much that be sent His only begotten Son into the world. There is not everyone who believes in the resurrection but we believe that death is really only a passing into a new life. And we should rejoice that this man should have been permitted to live upon the earth approximately 80 years. His work is finished and be doesn't need to remain and suffer indefinitely, for God. has said, "You have magnified your calling, come home." Millions of people in the world do not understand this, and how grateful I am that I live in a day when I can understand and partake of the blessings and promises given to each of us; that when the Lord called Joseph Smith to be a prophet that be spoke to him and told him to deliver a message to all men, the same message that the Savior brought. But much of what the Savior brought had been lost and the Lord in his mercy brought the Gospel again in order that we might obtain those truths, and that we might be told the plan of salvation, in other words, that we might be permitted to educate and adjust our lives to conditions here, to be worthy when we go hence to receive a Just reward. The Lord wanted us to live here on this earth, he prepared it for us. When I see the Springtime and feel the warmth of the sun and see the beautiful things of nature springing forth to new life I can't help but think that this is our eternal home, if we desire to live here. Because after a while, and it won't be very long, we will all finish our work here and if we have been dutiful in bringing up our sons and daughters to the teachings of our Heavenly Father, then this earth which is so beautiful now is to be purified, and the things that are objectionable will pass away. Now the Lord has provided the way we must go. There are certain things which must be done by each of us; however, some of us in our thoughtlessness set up our own standards and regulations and provide our own measurements, but there is not any other way but the Lord's Way to find a place in His Celestial Kingdom. He is the Landlord. In our own day, about on. hundred years ago, he brought back to earth the message that was to be the Plan where by we might enjoy life from day to day and also bring joy to hundreds and thousands of sons and daughters of His who have not partaken of the Gospel, who have struggled on and on and who have never known the sublime truth which we here today know. These people have struggled on until by and by their summons has come and they have passed on home. It is a home--as none other than the Savior Jesus Christ demonstrated when after he had been crucified end had been buried in the tomb and the women who loved him dearly Mary, Martha had come to perform the last human and mortal mission for their Lord; to place spices on the tomb and to perfume the air of the room where the body lay. They were very much surprised to find that the stone at the entrance had been rolled away and there were no guards about, there was nothing left there but the grave clothes. They spoke to the gardener who was close by and when he said, "Mary" they looked at him and recognized His voice. Marry, who had seen the Savior nailed upon the cross (the most cruel and final form of death as far as she was concerned) was almost overwhelmed with joy to see her Lord standing thus before her and to address her in his own familiar voice, "Mary". She would have embraced him, but He withdrew from her and said, "Touch me not for I have not yet ascended. to my Father which is In Heaven, but go and tell my brothers that their Lord is risen." Women, who are permitted to be the first ones to know of the awakening of a new life in this mortal world---It seems very fitting and proper that a woman should be the first to know of the resurrection of this Other life which has meant so much to all mankind. Jesus for thirty days and night lived with his brethren, on this Continent, teaching, and instructing them. He ate with them, talked with them, He went into their homes. And then when the time came and he had completed his work and given them the information that was necessary to prepare his brethren and sisters for eternal life, he ascended into Heaven. As He left He said unto them, "As ye see me go so shall I return unto you again." Not only did he demonstrate to them that he was a resurrected being but told them to come and "feel me and see." "A spirit hath not flesh and bones as ye see Me have, handle me and see." And they had that demonstration of one who had been raised from the dead. Many have discredited the story of the Bible regarding the birth of the Savior and regard it as foolish and they believed it not, but we have more than that. Jesus Christ said to his disciples, other sheep I have who are not of this fold, referring to this continent, and he did come to this land. He did not appear as a harmless babe, but appeared as glorified, personage. He healed the sick and afflicted and gave them the gospel, blessed the children and gave them the gospel and taught them what they should do. And so marvelous was the influence of that visit of his among that warlike and wicked people that for 200 years after his visit they were a righteous people. The gospel of Jesus Christ was instrumental in bringing all of our forefathers to this country, that was no accident there was a purpose in it and. I so much believe that our parents was brought together under His power. His father and mother were pioneers here In this valley when it wasn't as it is today. I remember when their home here was where the big house now stands. I remember so well as a child when the Indians used to come there, and how cruel and wild they were and how the women folks protected the squaws. Those were unusual experiences those were what those people went thru for the gospel sake. There are hundreds and thousands of us here today who should bless these forefathers of ours for the sacrifices they made for us. Grandfather Farr used to possess considerable property in this valley. I remember when his orchards and gardens were the best, and his sheep and cattle were the best to be found. He could not take any of this wealth with him when he passed on, but he gave his wife and children, and children's children this wonderful gospel, the most precious thing on earth. I do not think of Ogden today as a busy city, but I am thinking of all this beautiful land that we are living upon as a garden of the Lord. And if we will exercise this tremendous faith and, confidence, we will see the day when a living will be assured, not only of what we may require for substenance, but when we will all have an education continuing from year to year and from age to age, instruction by the Lord who knows all things. The assurance of knowledge will be here and our Heavenly Father will bestow upon us what He knows, and what we think impossible today will be of no consequence, things which we think great and marvelous today will be insignificant to those of the future, and these blessings we will have if we will but live the gospel. I think today in God's Kingdom brother Marcus Farr is very much concerned about us and of those who loved him and those whom he loved., I have never heard him speak an unkind word, he was a very rigid man, but tender and kind to those he associated with. The work in the Temple of the Lord was just as certain to him and sure as the work we do from day to day. Those whom he performed work for here will welcome him over there, for he did help many. There he will receive the joys for the work he has done in this life. Now things pertaining to the work for the dead were to Marcus Farr just as they were to his father Lorin Farr. I remember meeting his father one day as he came out of the Salt Lake Temple, where he had been officiating for the dead, and he came home and spent the night with me. The next day I bid him good by and he came back to Ogden, but while enjoying a bath at Warm Springs north of the city, life took its flight. The last things he did was to do the things that could be done for someone else. I like to think of him giving his physical body a last cleansing just before his spirit took flight. He was clean in body and clean in spirit. And these things were to brother Marcus Farr just as they were to his father. I have been grateful that I belonged to the family that this great man belonged to. And may we so live that when the time comes for us to go our children will bless as and honor the names we bear. There isn't any doubt in my mind about eternal life. I can see in my mind the reception brother Marcus will receive on the other side, and it has taken a good many years of hard, work to obtain the blessings that he will obtain. He remarked on many occasions that he could not have done the things that he did do without his wife. They have stood by each other; they have done team work. I should like to admonish the other younger members of the family who are married or who are going to be married to do team work. It is the only way that anything can be accomplished. Live together in harmony and when the Lord blesses you with children, give to them the precious heritage of the gospel as your parents have given it to you. The reason that this earth is so unhappy is that the people are ungrateful and this takes away the joy of living. The very fact that we appreciate life increases its blessings to us. The Heavenly Father in these latter days has seen fit to bring the Gospel restored through Joseph Smith, and these blessings we should. receive in thanksgiving. I am here today to say to you, my brothers and sisters that I love you my dear uncles, aunts, and cousins. My time here on earth is headed for the time when everyday brings me a little closer to the other side; but I want to live that you may say when the time comes that you are glad that I am among those who can call me their brother. And when we go on the other side I hope we shall be together united for all eternity. I have talked to noble men and women the world over, and I can say with assurance that they do not all appreciate the power of God. Today while I sympathize with the bereaved, Aunt Josephine weakened by her long experience, I congratulate you that you have within you the power and ability to do the things God requires of you. And I hope that in the not far distant future you may have the companionship of this good man, and other good men and women who have gone on before. I know that as I live that these things are true and that eternal life will be our reward if we will but live the gospel, and I am thankful that I am one of the blessed among you. I pray this day that we who live today may set our houses in order and reach after our children; that we will adjust our conditions and not say I wish that I had reached out after this boy or this girl when it is to late. May God bless you my kinsfolk. Let us live together in love for this world is full of trouble. The gospel of Jesus Christ will solve our problems if we will live it, it will never fail us for it has promised us eternal life. When brother Marcus Farr arid his wife were married they wanted it to be eternal and today I look upon this congregation with gratification and congratulate you with all my heart, and my emotions are stilled. I am thinking today of some who are not here, some who could not get here. I saw some of this family in California a few weeks ago; but let us resolve within ourselves that as far as were concerned. we will be among the number that Lorin Farr is in, and also his son Marcus Farr. We must take the lives of those who have departed as an example and live the gospel as they did. I am sure that if we do this we shall receive eternal life in the Celestial Kingdom, and feel qualified to share the companionship of our Savior on this earth when it is purified, when it becomes our Kingdom. May these be our blessings, I ask in the name of Jesus Christ, Amen. EVENT: My brothers and sisters, I Just want to take enough time to bring to you the love and sympathy of the president of this Stake, and of all the workers in this Stake. Last night at a meeting of the Presidency and the High Council, with other officers of the Stake, special record was made of the service rendered by Marcus Farr and we paused from our other duties long enough to enter into the record his name and it was moved than that all those who could do so to arrange their affairs to be present at this funeral service to pay tribute to his memory. It was thought that President McKay would be here, but urgent business kept him away. brother Farr's Life has been an inspiration to the people of this State, and of this Stake of Zion. He has been a strong supporter of the Priesthood of this Stake and has always stood squarely behind the policies he knew was right. My first association with him individually goes back to those days of the Weber Stake of Zion before the other Stake here was organized. We labored together under the leadership of William W. Shirrledge, There were no automobiles in those days and there were no paved highways. We used to start out in the morning by horse and buggy and sometimes traveled as far as Ogden Valley, and also out to Hooper, to preach and to give them the truths of the Gospel. In all the time that I accompanied Brother Farr I don t believe he was ever late. His policy was to get there on time and to say and do something good while there, and always to be of some Service. To me he came very close to living the song, "I'll go where you want me to go Dear Lord." He also served as a member of the High Council in this Stake for many years and he was loved by all. One day the Bishop of this ward came to the President of the Stake and said, "We have a special mission in the ward for Brother Farr, we should like to have you release him as a member of the High Council and let him come home to the Ward to lead us in the spirit of temple work, for we need him." The President of the Stake was almost reluctant to let him go, but finally said he would consult Brother Farr. When be asked Brother Farr if he would like the change he said, "If the Lord wants me to work in the 7th ward, that's where I want to work." He went to work in the ward and Just a few weeks ago when I went to his home to see him he said, "you know, I have had more Joy in this last assignment than any Job I have ever had to do." He has gotten up at 5 o'clock in the morning and caught the train for Salt Lake City in time to go through the sessions three sessions in the temple, getting out by 10:30 at night, and returning to Ogden, arriving at home by Mid-night. Then he would get up the next morning and start all over again. This was the kind of service he rendered, and I bear witness of his integrity, devotion, and faithfulness of Jesus Christ. Marcus Farr will be anointed as a King and a Priest in God's presence. May his memory and his wonderful examples stay with you, his kinsfolk, I pray in the name of Jesus Christ, Amen. It is an honor and a privilege to add a few words to the memory of Brother Marcus Farr, and to be called a friend and a brother of him. It has been the custom of this ward to have certain members of the aged folk occupy the front seats on the west side of this building, and Brother Marcus set there not only in one meeting, but was very punctual in being there every time. In fact he was the most punctual man in being on time that I have noticed in the 7th ward. He came to get something good, perhaps just a word which he thought was spoken for his special benefit. I had the privilege of working with him for sometime, and it was always his motto to say, "did I do that all right, and what suggestions can you give me whereby I could have accomplished It better." He aided many people who were interested in temple work, for he was engaged in it himself, and he regarded it not only as being a blessing to himself and family, but to the ward, and hundreds whom he had helped. His last wish which he spoke was, when be was confined to his home, that things may be opened up whereby he could go down and do more temple work, and Join his friends on each excursion, thus we see that his mind was on his Father's business. The family wishes that I express their appreciation for the comforting words that have been spoken, for the beautiful floral offerings, and to all those who have been to their home in the time of their sorrow and sickness of Brother Marcus Farr. Also to the Relief Society, and for the lovely music that has been rendered. Our Father Who Art in Heaven, we turn to Thee at the close of these services to thank Thee for the blessings that Thou bast bestowed upon us and to ask of Thee a blessing. We do thank Thee for the words that have been spoken and the beautiful music that has inspired and comforted us; and we are thankful, Father in Heaven, because we know that the words and songs were all inspired by the dutiful and righteous life of our brother, Marcus Farr. We ask at this time that we may retain some of the sentiments expressed here this day that they may be with us in coming life. We ask at this time to bestow Thy blessings on Sister Farr, the sons and daughters, that they may have that spirit to be with them, that they may find consolation in the words of the Savior, "I am the resurrection and the Life," Bless us that we may continue to do good as has our departed brother. God. go with us now through the remainder of these services to the final resting place of this body. Protect us that no harm shall befall us throughout the remainder of the program at the cemetery. These favors and blessings we ask in the name of Jesus Christ, Amen. Caroline Josephine BALLANTYNE [Parents] [scrapbook] 1-15 was born 2 on 30 Jan 1861 in Salt Lake City, Salt Lake, Utah, United States. She died 3, 4 on 12 Jan 1954 in Salt Lake City, Salt Lake, Utah, United States from of cerebral thrombosis. She was buried on 14 Jan 1954 in Ogden, Weber, Utah, United States. Caroline married 5 (MRIN:10) Marcus FARR-14 on 2 Feb 1882 in Salt Lake City, Salt Lake, Utah, United States. Caroline was counted in a census 6 in 1920 in Ogden, Weber, Utah, United States. She was counted in a census 7 in 1930 in Ogden, Weber, Utah, United States. I, Caroline Josephine Ballantyne Farr was born the thirtieth of January 1861 in the Fourteenth Ward, Salt Lake City on first West between 2nd and 3rd South Streets. I can truly say I was born of goodly parents -for they embraced the Truth in their youth and remained steadfast all the days of their lives and never wavered no matter what their trials. When I was a young child my father moved his family to Ogden where we lived in a building called the Ogden Tavern which stood on the corner of what is now known as Washington Avenue and twenty Fourth Street where the Commercial National Bank now stands. I'm quite sure my father built it himself Later he built a home one block and a half East of Washington on Twenty Fourth street and part of his family occupied that place. In 1865 he moved part of his family to Eden, Ogden Valley. My mother and her children being among those who moved there. I have a faint recollection of being carried in my brothers arms over some of the dangerous places in the canyon when we were moving up there. Before leaving Salt Lake City our home was next door to one of the homes of President John Taylor. My mother always said I was the tithing of my father's family, being his tenth child. She said the Spirit impressed that thought upon her mind, and she was always afraid she would loose me whenever I was sick. Had she but thought that our Heavenly Father does not take the tithing to Himself, but it is used for the building of His church upon the earth, she perhaps would have been saved much worry and anxiety. My father gave the name of Eden to that little town. It was here that I first remember attending Sabbath School, also day school. I Remember how I used to enjoy the walk from our humble little home on the farm over to the meeting house where all public doings were held. Later a choir was organized, and the Singing School, as it was called then, but known as choir practice now, was often held at my mother's home I also remember the beginning of my singing as a choir member, which began at one of these practices when one of its member, Maggie Mcbride lifted me up over the back of her seat and sat me beside her to help sing alto and until recent years I have sung in the choirs of the Church ever since, with the exception of an occasional intermission, taking part in the musical part of the work of the different Organizations, day school etc. Sister McBride was also one of my first Sunday School and Day School teachers. I always loved her very much. She used. to give us passages and sometimes whole chapters from the New Testament to memorize. I have the little book I used to study from. I used to enjoy these lessons very much also the little Testament and I love it now for it brings back the many sweet memories of those happy childhood days. Oh, how I loved my Sunday School and my teachers also the Sacrament Meetings. I remember how I used to drink in the teachings of the servants of the Lord. It was all like sweet music to me as also the teachings of my father who took very great pains to instruct his children. These things developed in my soul at a very early period of my life a love for the Savior and His teachings and the first strong desire I ever remember of having was that I might be like Him. I determined in my own heart to learn all I could about Him that I might be just as near like Him as possible. I remember many little incidents that came into my life and made lasting impressions on my mind while living in that little town or village of Eden. It was here that my little sweet blue eyed sister Catherine Mena died when she was about eleven months old. I remember seeing my dear mother putting away her little clothes, shoes etc. and of seeing the silent sad tears fall while she did it. I had always been my mother's baby tender and I suppose that is one reason I remembered it as I was only about five years of age. At one time when my father was irrigating a field of grain my mother sent me to take him a lunch. I was going to return after performing my errand but he wanted me to sit down in the shade of the willows with him while he ate. Before eating he returned thanks and asked a blessing on the food I never forgot it and a feeling of pride and thankfulness came over me that I had a father who seemed to always remember and thank our Father in Heaven at all times in all places. The fall before I was between 14 and 15 years of age I went to school under Professor L.F. Moench at Ogden, Living in Father's first wife's home, keeping house for ourselves for there were of us and my aunt had a large family of her own. The next summer when I was between 15 and 16 years the trustees wished me to take the summer school. I very well remember how embarrassed and nervous I felt and how incapable. I took the school and did my best and rather enjoyed it. The parents seemed pleased with my efforts I suppose it helped them in taking care of their children as they were a very busy people, being farmers. The following winter I went to school at Eden. My brother, Zachariah, being the teacher. In the fall of 1876 my father sold his farm and moved his family back to Ogden. I continued to go to school to Prof. Moench until the summer of 1879 when I went and taught school at Hooper and the year following I took the Harrisville School. Much as I disliked living away from I loved my school work and especially did I become attached to my pupils so much that it was hard to leave some of them. Before I finished my school at the latter place my health began to fail and my school work became quite a task. The surroundings and my diet were not what they should have been and I was too timid or did not realize the serious consequences enough to have them corrected. I went away a strong healthy girl and came home with hardly enough ambition to move. The next spring or early summer my father took a contract to help build the Oregon Short Line Railroad. My mother and her smallest children went with him and in September I went up and stayed nine weeks coming home very much improved in health. At first we were camped South of Montpelier and near the Bear River and later about fifteen miles east of the American Falls where we had a very thrilling experience with some Bannock Indians. I'm quite sure we would not have escaped very serious results had Providence not intervened. February 2nd, 1882 I was married to Marcus Farr, son of Honorable Lorin Farr and Sarah Giles in the Old endowment House, Salt Lake City. My Uncle President John Taylor sent word to President Joseph F. Smith to marry us first so that we might have dinner with him at the Guards house, his place of residence at that time. We thought it a great honor to eat our Wedding dinner with the President of the Church and his family for I had always thought him one of the greatest and grandest men who ever lived. I always think of it as one of the brightest days of my life. He was the first one who called me by my new name and did not recognize it as meaning me. When I finally looked up he was looking straight at me and he with a characteristic shrug of his shoulder smiled at me. We had a delightful visit for they were so hospitable and kind, showing us every attention. I have always thought it a greater honor than to have been entertained by the President or King of any nation, My husband's father and his brother Lorenzo were also there. The first four months after we were married we lived in part of my mother's home on the corner of 25th and Jefferson Avenue. We then moved to Lorin Farr's last farm where our first child, Josephine was born, 17th February 1883 at about 20 minutes past 1 o'clock Wednesday morning. We lived there altogether ten months. In April 1883 we moved to his West farm, Marriott, and lived two and one half years. While living there our son Marcus Ballantyne was born, April 11th 1885 ten minutes to eleven o'clock Saturday evening. Since leaving the last named place there have been born to us three children, Lionel Ballantyne, born 28 November 1888 at 2 o'clock in the morning, Ogden Third ward, Ogden, Utah. Beatrice Albertine was born 24 April 1892 Sunday afternoon at four o'clock in our own house on Canyon Road, Third Ward Ogden, Utah. Lorin Ballantyne was born 1st July 1896, twenty minutes past twelve o'clock. On the first hour of the first day of the first July that Utah became a state he was born. We have live in Ogden ever since we left the West Farm in Marriott. When I was eighteen years of age I read an article in volume 16 of the Millennial Star on the Word of Wisdom which had the effect of changing my whole life. It made a very strong impression on me; it seemed to be directed right to me for it was impressed upon me by the power of the Holy Ghost and I resolved right there and then that I would keep it for I felt thankful and happy that I had found something that I was not commanded to do that would please my Father in Heaven. I felt that I was not doing enough and here was an opportunity to show my love for him. It was about or nearly two or three years after this resolution that I was taken ill with Typhoid Fever, after I had been sick about three weeks. I died to all appearances, my heart and pulse stopped beating my eyes and teeth were set and my body was stiff and cold. I was apparently dead. The power of the Adversary had been made manifest to a great degree and he seemed determined to destroy my life, but through the great faith of my parents and my husband and those around me in the Priesthood, I was restored to life and health. During my sickness I had had a great deal of hemoraging making my blood very thin and a Patriarch in the Church told me to drink coffee as it was the best thing I could take to thicken my blood. I protested but he insisted saying he would answer for all I drank after that. I drank it for a while also tea to please the folks but my conscience soon accused me and I let it alone at least for a time. In the winter of 1882 I had the misfortune to fall on the ice and hurt myself internally and for several years I was not very strong and I would some times yield and take a cup of coffee or tea as an inducement to eat more. About this time President John Taylor spoke a most powerful sermon on the Word of Wisdom, my hair felt almost as if it were standing on my head so greatly was I thrilled. On our way home we naturally talked of the wonderful things we had heard from the Prophet of the Lord and I told my mother and one of my sisters with whom I was walking that I would recover my health by keeping the Word of Wisdom or I would die in the attempt. My sister could not have been so strongly impressed for she said she would eat or drink anything that would make her feel better, but for the sake of my children and my own blessing I determined to do it. The years passed on and our children were growing up and every once in a while we would hear of one of Zion's beautiful daughters getting into trouble, and especially in one case was I shocked and thought if one so beautiful and of such a family could make such a mistake what about others and I fasted and prayed much, that not only my own but all the youth might be spared from these terrible things. The years drew on and I was about to become a mother again, and for the last time, when I dreamed that I died and I saw my body lying on a stretcher and my husband and children standing around my body, weeping, heartbroken, while my spirit or I stood in one corner of the room looking on, Seeing their great grief I felt that I could not stand it, and I awoke. I could not get rid of the impression that it made on me and I thought I would die at the birth of my child. Then the time arrived I felt perfectly sure that I would never arise from my bed again in this life unless Father saw fit to spare me. My babe came and through the blessing of the Priesthood my life was spared, and now the battle was on in earnest for it seemed that all hell was let loose on me and only by giving heed to the "hidden Treasures of Knowledge" as promised in the Word of Wisdom did I or my children escape, and I have been mobbed and driven by unseen powers as literally and as surely as the saints were driven and mobbed by men in the flesh; my persecutors were those of the unseen world by men in the flesh, but my foes were those of the unseen world and where could I flee or how could I hide from such an enemy. I was forced to flee to the house of prayer as literally as the Saints were forced to flee to these valleys and for the same reason. For safety arid I found or received persecution in criticism from which I have suffered most keenly most intensely from my own people in the Church. People for whom I had always had the greatest of love and respect. And all this time I was entrusted with a very sacred trust, as President of the Y.L.M.I.A. of our Ward nine of the ten years I was asking people to pray for me for they set me apart when my baby was a little over a year old. I have also had many, many seasons of the most exquisite joy for my Father has been with me and given me strength to endure thus far. One time when I felt I had gone as far as I could; I felt that I would rather die that to ask people to pray for me it seemed impossible to go farther, and the Spirit told me that the Thing I was doing would bring the Millennium, and so I was willing to go and do my best. I am thankful for my parentage. I am so thankful they embraced the truth and remained steadfast to the end of their lives. I thank and praise my Eternal Father for these things. I have been critized first of all for asking people to pray for me and for attending so faithfully to duty to my meetings, etc. when I have a duty I am always planning a way to go and not seeking for an excuse to stay and its very seldom that I cannot find a way. I believe if some great attraction comes to our town such as some great artist, a representative of some great country such as the President of our nation etc. and it happens to occur on Relief Society day or Mutual night, my first duty is to my organization and I should be there and I act accordingly, not that I do not appreciate these great occasions but the work of the Lord is greater and of more importance for the one whom we serve or should serve is greater than any artist or any king or ruler of any nation, and I will not vote for an adjournment of any organization of which I am an officer on such occasions. Some think, and I'll say all with few, if any exceptions, that this is extreme, but how can we show our Father that we consider His work of the greatest value to us, more so than any thing else in this world if not in our actions. We surely cannot prove it by words alone. I believe it is not right to let funerals interfere with our organizations, and if I have the opportunity to protest I do so. I have been criticized for not attending the Ward Socials, dances, etc. While I know all these things are very necessary and splendid for the entertainment and development of the young people and for others who are seeking for this kind of recreation, I remain away for good and sufficient reasons. When I was President of the Y.L.M.I.A. of the Ward in which I lived I was criticized for objecting at our Committee meetings to the serving of coffee, tea, por etc. at our socials, reunions etc. My Bishop becoming a little impatient with me on one of these occasions said "Sister Farr if I would tell you I wanted you to take a cup of coffee, would you do it?" I told him I would have to think about it. It is remarkable, wonderful, the opposition I have met with because of my faith in the Priesthood in times of sickness. I am simple enough to think that Father means just what He says when He tells us to call in the Elders of the Church. He does not say call a Dr. first not even to diagnose the case, but he says send for the Elders and anoint them with oil and pray over them and the prayer of faith shall save the sick and the Lord will raise them up. If they haven't faith to be healed. He instructs us how to do. I do not believe it is necessary to have operations performed on our sick. I know if we will keep the Word of Wisdom, which includes the Commandments that our Heavenly Father will hear us when we a call and He will give us "Hidden Treasures of Knowledge" if they are necessary, just as He has promised. I know He will do this and He will not fail us in time of need. I do know where of I speak. But they say to me "Sister Farr, even the Apostles and all of our leaders do it. They go to the hospitals; they have operations, are you any better than they?" To this I answer that I do not claim that I am better than others; but I do know that there is no need of departing from the way the Lord has appointed, for all things are possible with Him. But of us He exacts our undivided faith, love and service. Oh, I bless Him I praise His most glorious name for these wonderful blessings; for these precious "Hidden Treasures of Knowledge" for His wondrous love and faithful watch care over even the least of His children. My heart overflows with love and praise, thanksgiving and adoration for the blessings I have received from His precious hands. Oh, and I wonder at it, when I realize how small how insignificant how easily I am led to err. Oh, how frail a thing I am. How wonderful His patience; how long suffering how kind. How I hope to endure and I must, for it is His work and not mine. We cannot serve Him at our own convenience, but we must serve Him with our might, mind and strength, if we desire His special blessings. He has taught me that I must have no other Gods before Him. I thank my Father for the desire He gave me all my life to try and serve Him. I praise Him for the light of Truth that He has given to me I adore and bless his holy name that He has delivered me in times of peril and danger. Well can we exclaim, "Who among the Mighty can be likened unto Him"
I am thankful He counted me worthy to suffer for righteousness, I am thankful that I have suffered so keenly that every part of my being; has quivered and for the correspondingly exquisite joy He has given me and my great desire is that I may endure to the end. I have much more to write but my sketch is already too lengthy I fear. I have no hard feelings against any living soul or I try hard not to have for I know they do not understand. I have been laughed at, (and I'm ashamed to write on this sheet who they were who did it) because I maintained that our Sacrament Meetings and other Meetings of our organizations were of greater importance that socials, dances, entertainments, etc. It is time I believe that our first and best be given to the Church or to our Father, however if others insist on being excused for some, to them, greater attraction it is their responsibility, but I claim the same privilege, the freedom of serving my Maker in my own way, so long as I do not interfere with my neighbors. We must all serve Him according to the light within us. I am at the present time 1st. 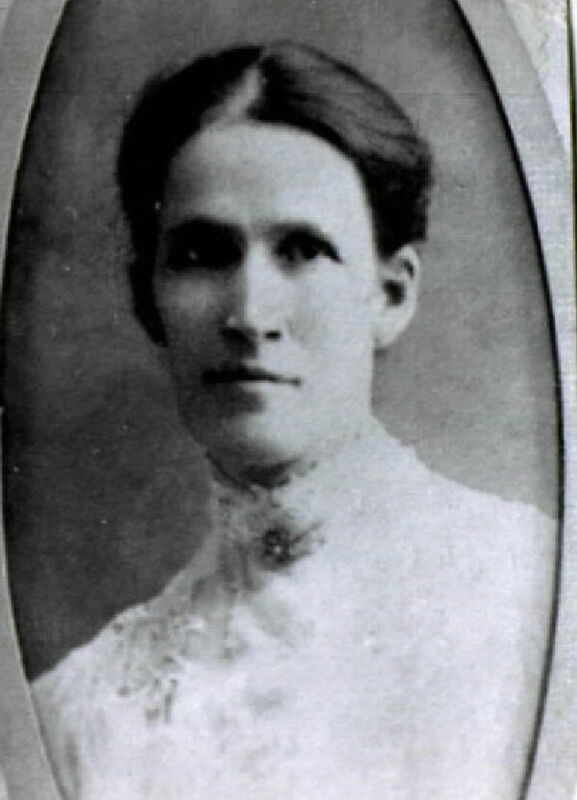 Counselor in the Relief Society of the Seventh Ward of the Ogden Stake of Zion. Visiting the Temple whenever I can and attending to my household duties. My desire when quite a young woman was that I might have the privilege of teaching the Gospel and I have greatly enjoyed this work, for the last twenty four years in the organizations of the church and much longer than that to my neighbors, etc. I also have always thought after my family were raised and comfortably settled that I might spend much of my time in the Temples. F i Josephine FARR-16 was born on 17 Feb 1883. She died on 13 Jul 1960. M ii Marcus Ballantyne FARR-9 was born on 11 Apr 1885. He died on 28 Jan 1927 from of general paresis and lues. 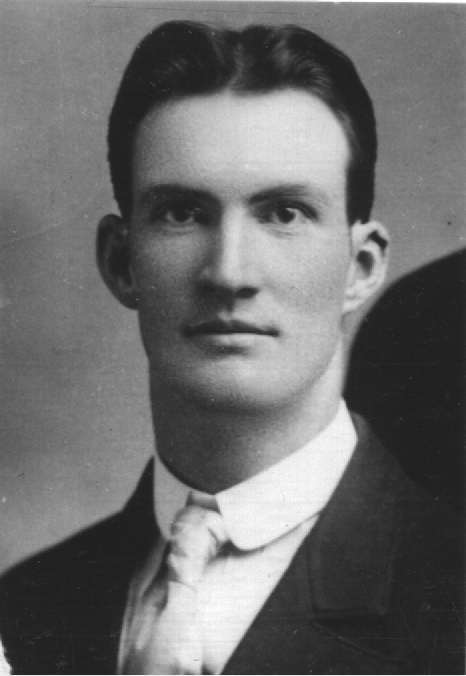 M iii Lionel Ballantyne FARR-17 was born on 28 Nov 1888. He died on 20 Jun 1968. F iv Beatrice Albertine FARR-18 was born on 24 Apr 1892. She died on 4 Sep 1972. M v Lorin Ballantyne FARR-19 was born on 1 Jul 1896. He died on 16 Dec 1964.